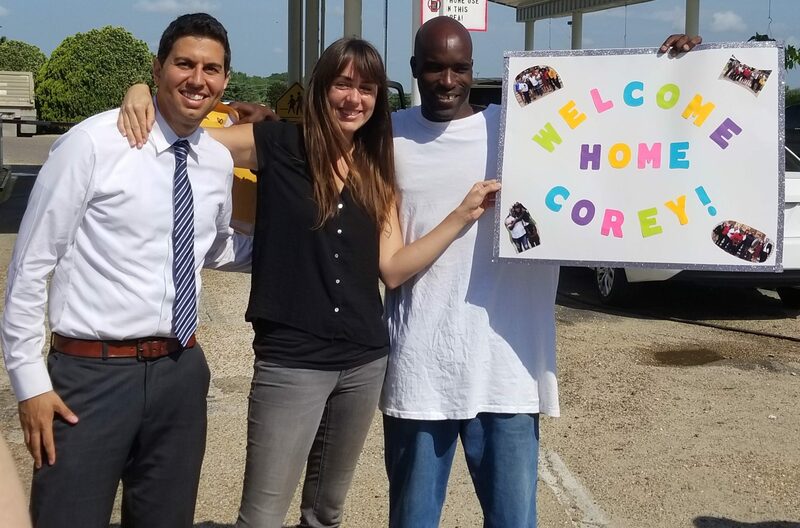 Corey Williams was wrongfully convicted of first-degree murder as an intellectually disabled 16-year old child, and spent 20 years in Louisiana prison for a crime that he did not commit. We represented Mr. Williams in a petition for certiorari before the U.S. Supreme Court and obtained his immediate release from prison through a settlement with the State of Louisiana. Mr. Williams’ conviction was one of the greatest miscarriages of justice. In January of 1998, Mr. Williams was an intellectually disabled 16-year-old child. He had an IQ of 68, he still sucked his thumb, and regularly ate dirt and paper. A psychologist who examined Mr. Williams stated that, as a child, Mr. Williams suffered “the most extreme case of lead poisoning that I have ever seen.” Mr. Williams was known throughout his community as a “duck” or a “chump,” someone who would take the blame for things he did not do. When Mr. Williams was just three weeks past his 16th birthday, several older men took advantage of his vulnerability, blaming him for a murder that he did not commit. Witnesses told law enforcement on the night of the murder that Mr. Williams did not commit the offense and law enforcement officers believed the older men had conspired to blame Mr. Williams for the crime. Nevertheless, Caddo Parish prosecutor Hugo Holland and his staff hid that evidence, convicted Mr. Williams of first-degree murder and sought the death penalty. On March 2, 2018, the MacArthur Justice Center, in partnership with the Promise of Justice Initiative, filed a petition in the U.S. Supreme Court urging that the conduct of Caddo Parish prosecutors was a blatant violation of Mr. Williams rights under the Due Process Clause of the U.S. Constitution. In response to MJC’s filing, the Caddo Parish District Attorney’s Office abandoned its defense of this tragedy and finally agreed to send Mr. Williams home. A state trial court in Caddo Parish accepted the District Attorney’s stipulation to Mr. Williams’ immediate release. He was 16 when Louisiana charged him with murder. Two decades later, he’s free.